Crisis has enveloped the 200,000 nationally and locally protected natural and cultural heritage sites around the world, as well as many thousands more at local levels. Heritage managers those who manage natural heritage sites such as national parks, wilderness areas, and biosphere reserves, as well as those who manage cultural heritage sites such as historic monuments, battlefields, old buildings, and ancient rock art sites have an urgent responsibility to confront this crisis, and each day that they don’t, our planet irreplaceably loses more of our common heritage. Heritage management experts Jonathan Kohl and Stephen McCool argue that bureaucracy is at the root of this crisis. National, state, and local park and historic monument managers alike still obey the norms of technocratic logic, hierarchical control, and bureaucratic procedure. But these characteristics are already dinosaurs in a world of rapid change.The Future Has Other Plans provides an innovative and modern solution for preserving these valuable sites. Merging interdisciplinary and innovative management paradigms, the authors outline a new holistic planning that integrates the disciplines of heritage management and conservation with operational realities. 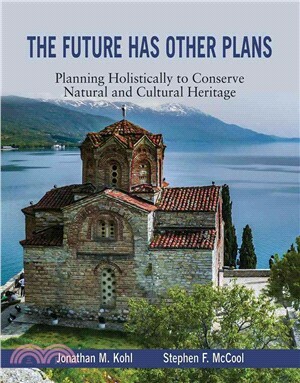 Jon is coordinator and founder of the PUP Global Heritage Consortium , a non-profit global network dedicated to introducing emerging paradigms into the heritage management and planning field to stem the crisis of unimplemented management plans. He launched the Public Use Planning Process while working at RARE Center for Tropical Conservation in Honduras when he observed pandemic plan non-implementation. This book started as a forum to discuss deeper theory that cannot be articulated in field projects and which serves as the theoretical backbone for the Consortium’s work. Over the past 16 years, he has studied many fields that have innovated alternative approaches to the global problem of technical-rational-comprehensive planning and integrated their lessons into the practice of Holistic Planning and implementing, publishing academic papers, trade publications, and PUP’s well known methodological manual, tested in cultures around the world. Within planning his specialty is public use management in heritage sites, especially heritage interpretation and its role in protected area management for which he is globally recognized as a writer and speaker. Connect with him at www.facebook.com/heritageinterpretation. Jon attended Dartmouth College and Yale University School of Forestry and Environmental Studies. He was an environmental education Peace Corps Volunteer in Costa Rica’s National Zoo where he met his Costa Rican wife and has dual citizenship. Steve is Professor Emeritus, Wildland Recreation Management, the Department of Society and Conservation of the College of Forestry and Conservation, University of Montana, and Associate, Center for Protected Area Management, Colorado State University. Steve began his professional career by investigating biophysical impacts of visitor use in the Boundary Waters Canoe Area in Minnesota during the mid-1960s and has continued working with wilderness and protected area managers his entire career, focusing principally on management of visitors and tourism, public engagement processes, and new paradigms of planning. He has authored over 200 publications dealing with protected area management and provided advice and service to a number of park and protected area agencies in the U.S. and abroad. He has also held faculty positions at Utah State University and the University of Wisconsin-River Falls. He received a B.S. Forestry degree from the University of Idaho, and holds M.S. and Ph.D. degrees from the University of Minnesota. From September 1987 through August 1993, he served as the Director, Institute for Tourism and Recreation Research at the University of Montana. From January 1993 until August 1995 he worked as co-leader, social sciences staff of the Interior Columbia Basin Ecosystem Management Project, a large-scale ecosystem assessment process for the US Pacific Northwest. He is a member of the World Commission on Protected Areas and currently serves on its Tourism and Protected Areas Specialist Group.